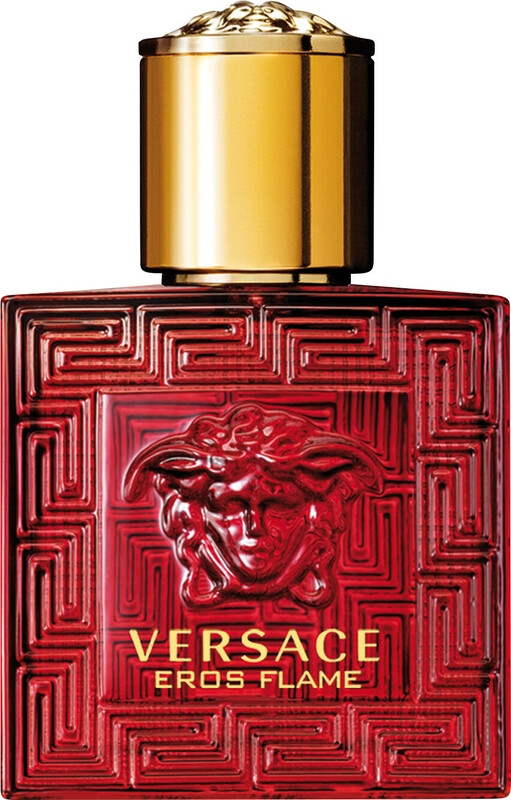 Reveal your passionate side with the Versace Eros Flame Eau de Parfum, a citrus and woody fragrance for men. 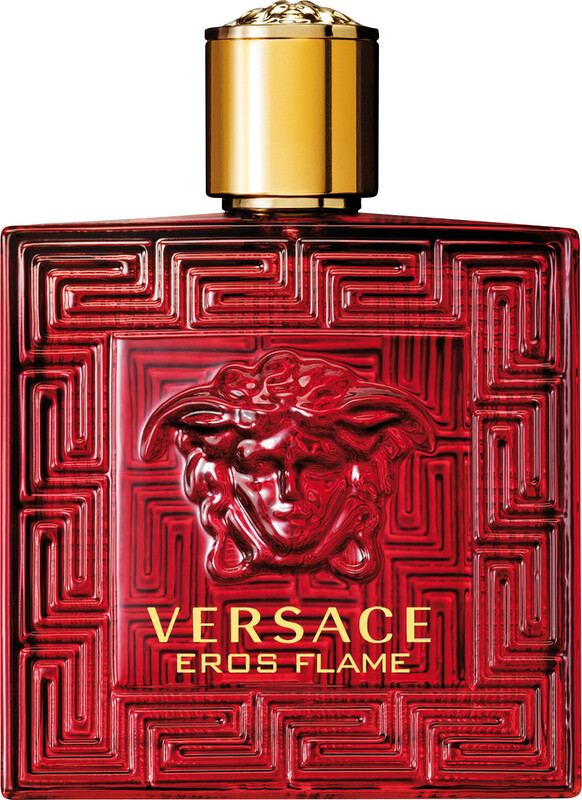 Inspired by Eros, the God of Love, who was able to make people fall in love with his bow and arrow, the Versace Eros Flame is an intensely fiery scent created by perfumer Olivier Pescheux that is characterised by a strong blend of noble and elegant ingredients that will, upon spraying, enrich and enhance one another to create a scent just as powerful as the man it has been created for. Refreshing top notes of sharp lemon, vibrant tangerine and bitter orange will instantly command attention, before giving way to a heart of punchy pepperwood, geranium and rose that will add a rugged sensuality. In the dry-down, a warming blend of cedar, patchouli, geranium, sandalwood and moss intertwine with tonka bean and vanilla to leave a subtle yet long-lasting sillage that will captivate all. 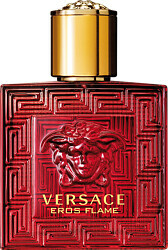 A celebration of passion and power, Versace Eros Flame will envelop the wearer in a wave of confidence. Plus, how can we not mention the bottle!? Its fiery red glass is embossed with a striking Medusa head at the centre and etched across the gold cap to reflect the Versace universe as well as pay homage to the mythological stories it has been inspired from. 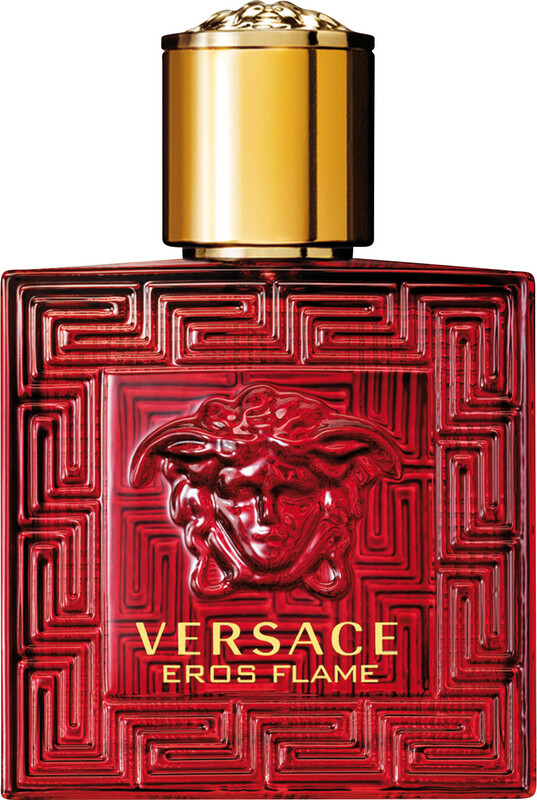 If you’re a fan of Versace Eros Flame, why not take a peek at the rest of our Versace Eros Flame lineup and infuse your skincare and cleansing routine with this distinctive scent, too?